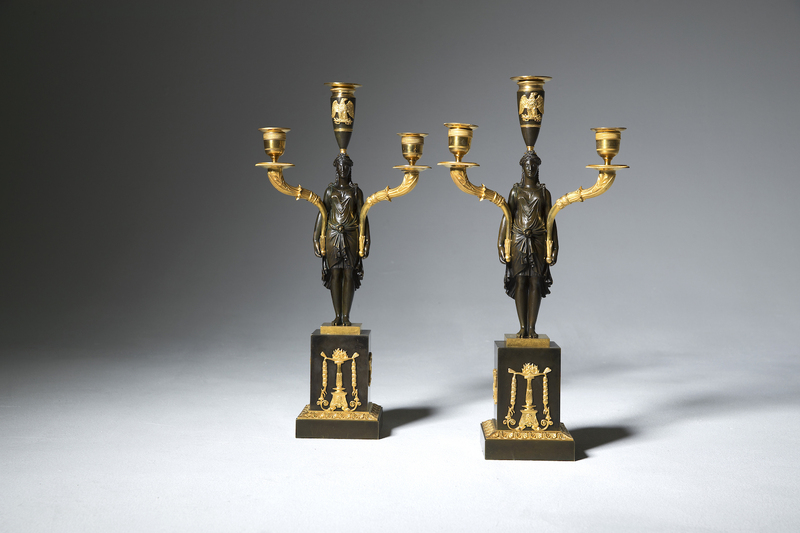 A pair of ormolu candelabra, in the manner of Friedrich Bergenfeldt circa 1800. 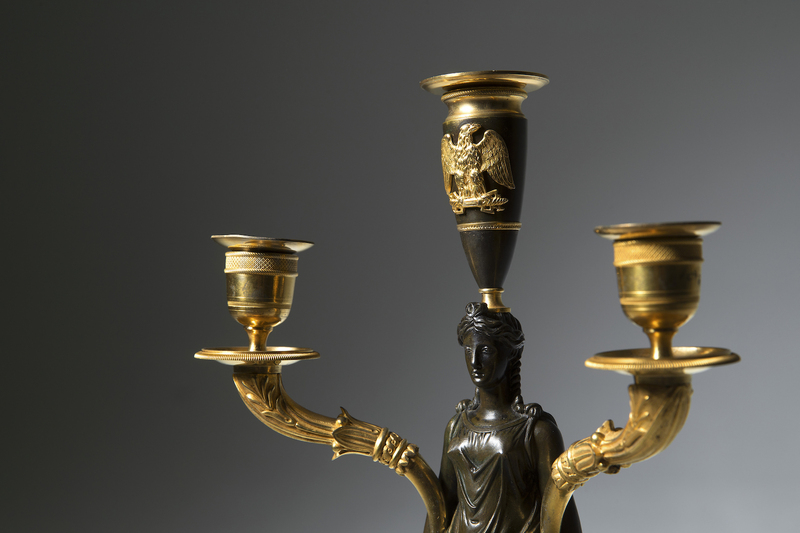 In ormolu and patinated bronze for three lights. 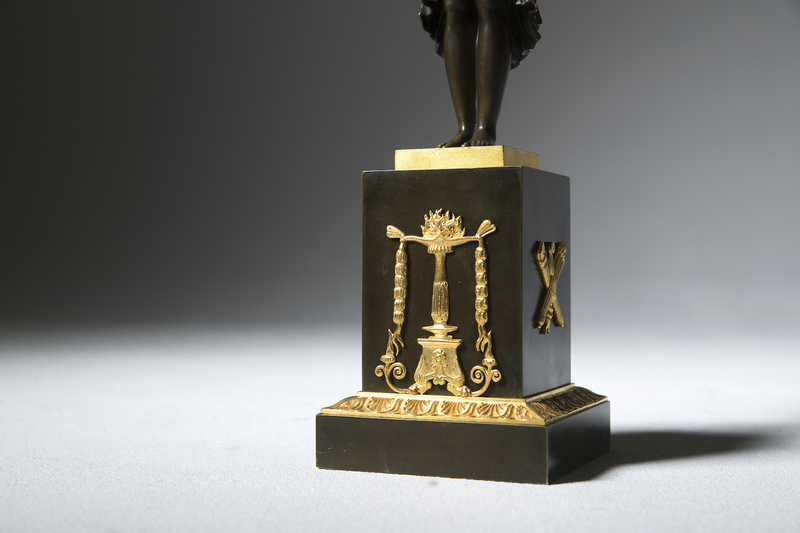 Each candelabra with a patinated female figure holding two scrolled leaf decorated candle arms and standing on a rectangular base. On hear head a ovoid patinated urn centred with Jupiter´s eagle.